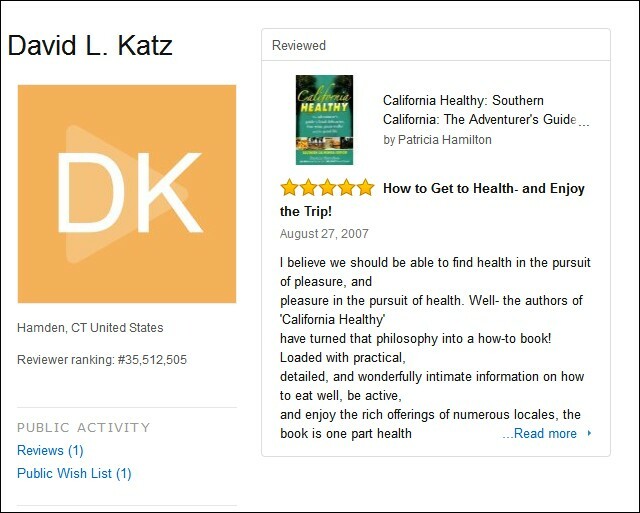 11/18/15 UPDATE: Huffington Post deletes two columns by prominent Yale professor/author David L. Katz MD; "undisclosed conflict of interest"
Yo, I just broke my record tagging Amazon shill book reviews. 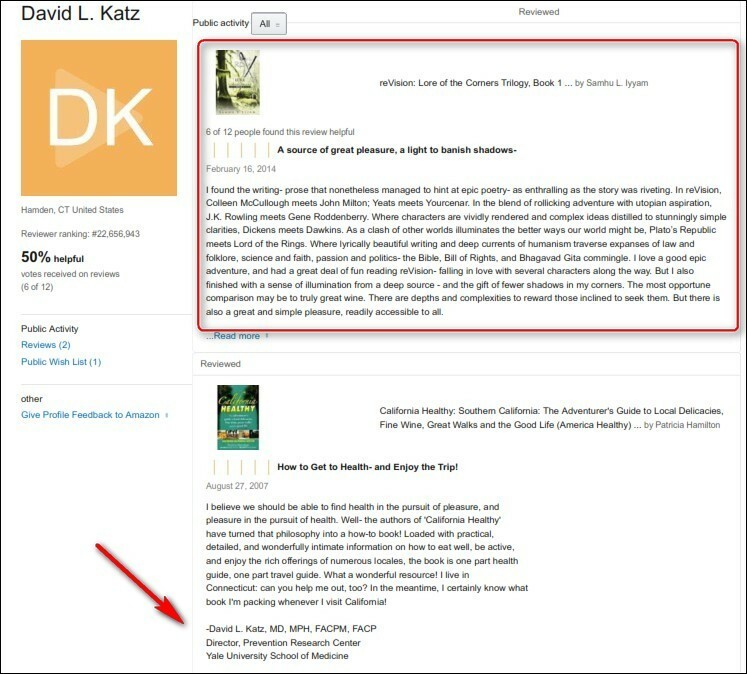 On September 30, I reported Katz out of the bag: Did prominent Yale doc/prof/columnist shill review a book he wrote under a pseudonym? I've asked Amazon to take a look. (Peter Heimlich) has sent a formal complaint to Amazon asking that Katz’s product review be taken down. Mahesh: Not a big deal, but I'd characterize my correspondence with you as an "inquiry" rather than a "complaint." ...(When) your company's Reviews team takes care of this, I'll break my record of tagging five-star shill book reviews on Amazon. Per my (unsigned) June 10, 2010 item in the Cincinnati Beacon, shortly after I brought the information to former Amazon employee Mary Osako, 72 five-star shill book reviews were deleted. And per my May 6, 2014 item on my own blog, shorty after I brought the information to Ms. Osako, eight more five-star shill book reviews were scrubbed: making a total of 80. I'm not sure why Amazon is taking so long to wrap this up, but I'm looking forward to bumping my score to the Big Eight-One! Somebody cue the theme from Rocky. Or better yet, The 81 by Candy and The Kisses, one of the greatest-ever girl group records.